Over the past few months there's been a lot of conversation about whether women are getting a fair shake in Silicon Valley. It's fantastic that there's so much focus on gender equality, but most of the discussion bypasses the fact that we still need to get more women to even try to succeed in technology. 1. Change Your Thinking. We need to take a hard look at the way we think and the messages we give to our children. Many of us were brought up to believe that girls "didn't do" math. So when I had the opportunity to learn to code I didn't take it. That was something boys did. We need to change this way of thinking, and we need to change it now! Give your girls screwdrivers and power tools. Teach them to code. Encourage them to get dirty. My kids are both boys but I promise to raise them to believe that girls can do anything they can do. 2. Make Math and Science Part of Your Routine. Math and science are all around, you just need to draw your children's attention to them. Talk about what you're doing when you're weighing produce, pumping gas, balancing your checkbook or slicing pizza. Money also presents a fun and interesting opportunity to practice math. Give your daughters an allowance and let them start paying for their own things. Can they make change? Can they estimate the total cost with taxes? Older girls can open "teen checking" accounts at Wells Fargo and get their own debit cards which can teach them important life skills. 3. Play Games. There are so many toys and games that inspire kids with critical thinking and math concepts it's almost impossible to name them all. The great thing is that most of them are interesting to both boys and girls, small children and adults. Try coloured pattern blocks, origami, or legos to learn about geometry and engineering. There's even a line of building toys created especially for girls called Goldie Blox. Children as young as kindergarten can start learning about strategy through chess. And toys like Little Bits or Snap Circuits can inspire a budding electrical engineer. 4. Change Your TV Habits. Let's face it, nobody has time to play with their kids all the time. When your girls need to have TV time, instead of letting them watch mindless cartoons or Disney channel shows, introduce them to something more scientific. Boys aren't the only ones that love Dirty Jobs, How It's Made, or the mother-of-all science shows: MythBusters. Nature shows like Planet Earth or Meerkat Manor are so entertaining that your kids might not miss more traditional children's fare. And the best thing about these shows is that they are as interesting for you as they are to four-year-olds. 5. Get Hands On. Many of today's children are so over-protected that they miss the opportunity to learn by trial and error. Take a look at the book 50 Dangerous Things You Should Let Your Kids Do by Gever Tully and then teach your girl how to use a power drill. Nothing will get them interested in the principles of science and cause and effect like really making things. I'm very fortunate in the San Francisco Bay Area that tinkering is a big part of our culture, but this year there will be more than 100 different Maker Faires all over the world. It's not just about making things, though. "Un-making" can be just as fun. Give your daughter a screw driver and an old toaster and I promise you, she'll have a blast. 6. Build Confidence. Lets face it, most things are more fun when you're good at them. It's not so much fun for kids to learn how to get off of training wheels, but once they do, they'll love riding their bikes. It's the same with math. 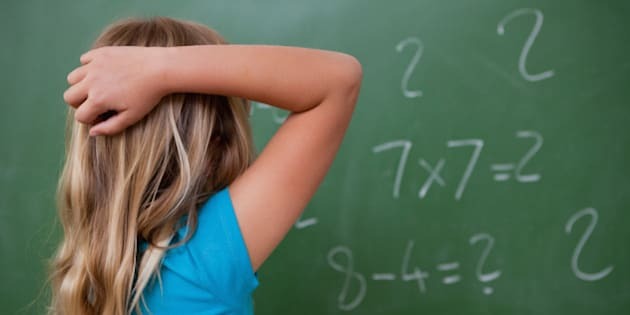 If it doesn't come easily to the girls in your life, you may have to spend some extra time with flash cards or computer games until they master their math facts and skills. It'll be so much easier to foster their passion for math and science after they have their basic skills down. Helping girls build their passion for STEM is easy, and something we should all be doing every time we fill our gas tank, chop vegetables, or turn on the TV. Not every girl needs to grow up to be an engineer, but lets help them learn to love technology and feel like they can be whatever they want to be. Together we can make sure that we foster girls' innate passions and give them the opportunity to succeed.